After meeting this morning with Dave Hakstol and thoughtful consideration, I have decided to relieve him of his duties as head coach. As I continue to assess the team, I feel that this is the best course of action for our group moving forward. I’d like to thank Dave for his service to the team and the organization. Scott Gordon will serve as head coach on an interim basis. Gordon, who had been coaching with the Lehigh Valley Phantoms of the AHL, has previous head coach experience with the New York Islanders. As for who will eventually take over the head job, nothing has been decided yet. The rumors surrounding Joel Quenneville appear to not be true at this moment, as the legendary coach is expected to wait until the offseason before making a decision on his next coaching job. Fletcher confirmed as much, saying he has not asked Chicago for permission to talk with Quenneville, and in fact hasn’t even spoken to him in two years. In Philadelphia, the writing had been on the wall for some time. Though Fletcher decided to not fire Hakstol immediately after taking the job, instead replacing one of his assistant coaches with long-time colleague Rick Wilson, it was only a matter of time if the team did not rebound from a rough start. After performing well enough to make the playoffs last season, Philadelphia came into 2018-19 with plenty of optimism surrounding their young group. Instead of a quick start though, the team struggled out of the gate and couldn’t fix the goaltending problem that has plagued this organization for years. Elliott and Neuvirth have both dealt with injury, while not performing well enough even when they were healthy. Carter Hart is on his way up from the minor leagues to give the team some hope in net, but solving the goaltending issue by forcing a 20-year old prospect into the spotlight is a risky move. Fortunately Hart will be working with a familiar face in Gordon, but still will have immense pressure to turn things around. The team has some outstanding offensive talents, but allowed 22 goals over their last four games (all losses) and couldn’t wait to make a switch behind the bench. Now that the coaching move that many expected has happened, the question will turn to the roster itself. Fletcher has been rumored to be looking to try and make at least one move before Wednesday’s trade freeze comes into effect, but it’s unclear what exactly he’s trying to do to improve the roster. There are plenty of young talents on the group, but if the team is trying to compete this season they may have to move one for some more experience or reliability. That doesn’t make a ton of sense given their place in the standings—the Flyers sit last in the Eastern Conference with just 28 points—but there were reports that former GM Ron Hextall was let go because of his unwillingness to make moves to help the present club. The season is clearly not over, and the Flyers currently sit just eight points out of a Metropolitan Division playoff spot. Even a short hot streak could put them right back into the race, and that will be what Gordon hopes to accomplish in the short-term. The team starts that journey on Tuesday night when they welcome the Detroit Red Wings into town. 4:36: Carchidi also writes that he believes Hakstol will be dismissed. As for who will replace him, he adds that Quenneville is just one of many coaches the team is considering. One significant option would be for the team to promote Lehigh Valley Phantoms’ coach Scott Gordon and see if he can motivate many of his former players to be successful. 3:59: Philly.com’s Sam Carchidi writes that while he believes Isaac’s report about the hiring of Quenneville, he asked Dave Scott, the CEO of the Flyers’ parent company, more than three hours ago about the report that Quenneville was coming to Philadelphia. The answer was “Not true.” Carchidi writes that something easily could have changed since then, however. Regardless, nothing has been confirmed. 3:42: Multiple sources are indicating that there is no deal. Fox Sports’ Andy Strickland writes that Quenneville said reports that he is taking the Flyers’ job are not true. TSN’s Darren Dreger also reports that it remains status quo in Philadelphia and no decision has been made on Hakstol. 3:24: It looks like Philadelphia Flyers’ new general manager Chuck Fletcher has made his big move. The new GM intends to fire head coach Dave Hakstol and will hire three-time Stanley Cup winner Joel Quenneville as their next head coach, according to Cherry Hill Courier-Post’s Dave Isaac. There has been no official word from the Flyers although the report says that Philadelphia intends to officially let Hakstol go either tonight or Monday morning. The scribe also adds that Fletcher has already offered the position to Quenneville and he’s accepted it. Poll: Will Chuck Fletcher Make A Coaching Change Before The Season Ends? The Philadelphia Flyers were supposed to be better than this. With a captain coming off his best season as a professional, a top line center worthy of Selke consideration, and a pair of young defensemen who could each challenge for the blue line scoring lead, things were supposed to be headed in the right direction. Philadelphia was jam packed with top prospects, and had pushed hard against the Pittsburgh Penguins in the first round last season. Unfortunately, things haven’t gone to plan. In fact that plan, the one that Ron Hextall had put in place by accumulating young talent slowly over the years, was thrown out completely. After struggling out of the gate this season Hextall was fired, along with assistant GM Chris Pryor. You couldn’t shake up the front office more than that, and team president Paul Holmgren didn’t take long to find a new boss for the hockey operations, hiring former Minnesota Wild GM Chuck Fletcher to run the Flyers. Before that though, Holmgren made another firing: assistant coach Gord Murphy. Instead of changing the entire coaching staff, Holmgren fired Murphy and made sure to include in the press release that the decision was made “in consultation with head coach Dave Hakstol.” It seemed then that Hakstol was safe, somehow, from the regime change at the top of the Flyers. So in came Fletcher, whose first order of business was to replace the outgoing Murphy with long-time NHL assistant coach Rick Wilson. Wilson had been with Fletcher previously in Minnesota, and has been on one bench or another around the league since 1988. Usually when a coach with that much experience is brought in to a struggling team he’s a potential threat to current head man, but with Wilson it may very well be another story entirely. The 68-year old has been an assistant for nearly his entire career, only taking over for Ken Hitchcock in 2001-02 for a 32-game stretch. Again, it seems that Hakstol is safe for now and the new management has put their faith behind him. 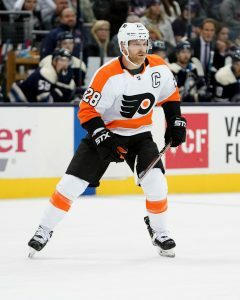 The Flyers though lost another heartbreaking game last night when they fell to the Columbus Blue Jackets in overtime after coming back to tie it late in the third period. That loss combined with the New Jersey Devils’ win, put the Flyers tied for last place in the Metropolitan Division with a 11-12-3 record. It also tied them with New Jersey for the worst goal differential in the division at -13, a far cry from the team’s expectations before the season began. So what will Fletcher do to turn things around? Does he wait out the season before making a major move, or try to get things moving in the right direction over the next two months? Is it a personnel change on the ice, or behind the bench that’s needed? 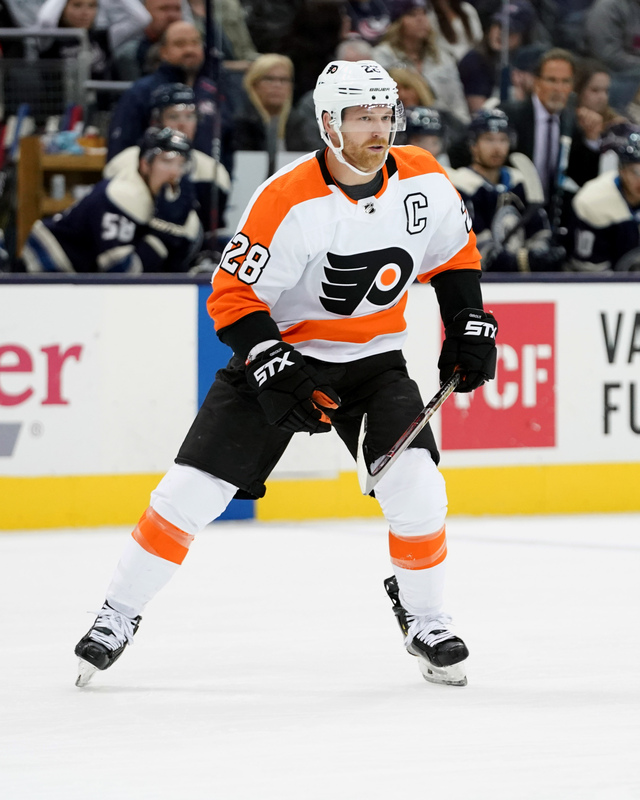 Something is surely going to happen to spark the Flyers at some point, but will Hakstol face the same fate that others like John Stevens, Todd McLellan and Joel Quenneville have already suffered this season? Vote below on how you think the situation will turn out, and make sure to leave a comment down below. The Florida Panthers have sent Michael Hutchinson back to the minor leagues, indicating that Roberto Luongo is ready to get back into the crease. The veteran goaltender has been dealing with a lower-body injury, and is a huge part of the Panthers’ chances of competing for a playoff spot this year. When he’s healthy and on the ice the team looks almost completely different, despite his .902 save percentage. Luongo is just 19 games behind Patrick Roy for second on the all-time games played list, and just nine behind Ed Belfour for third on the wins list. Those kind of numbers are going to make him a lock for the Hall of Fame, but it’s the Stanley Cup that remains just out of reach. Luongo will turn 40 in April, but has amazingly only been to the playoffs seven times and has just 70 postseason appearances under his belt. If that number is to increase the Panthers are going to have to put it together in the second two-thirds of the season. As expected, the Philadelphia Flyers have hired Rick Wilson as an assistant coach for the remainder of the season. Wilson, a long-time NHL assistant, had previously been hired by new GM Chuck Fletcher in his previous job for Minnesota. Head coach Dave Hakstol’s job appears to be safe for now, but it seems likely that Fletcher will re-evaluate the entire staff after the season. Two players have earned suspensions in the AHL. Dennis Gilbert of the Rockford IceHogs has been suspended three games for an illegal check to the head, while Alex Gallant of the Chicago Wolves is out for the next two games after earning a match penalty in Sunday’s game. Gallant, a 25-year old undrafted forward, has been suspended multiple times in the past by the AHL and doesn’t have a single point yet this season. Gilbert on the other hand is a third-round pick of the Chicago Blackhawks in his first professional season. While there are a few free agents still out on the market, one may not be coming back. Free agent goaltender Steve Mason may be ready to hang up his skates despite having received an offer from an NHL team looking for a backup, according to Sportsnet’s Chris Johnston on Saturday Headlines. “He had a ton of injuries last season, he had concussion and knee issues, he’s been through a lot in his career, and the sense is he may actually be done in the NHL,” Johnston said. Mason signed a two-year, $8.2MM deal last offseason with the Winnipeg Jets, but was limited to just 13 games due to multiple concussions and a knee injury. He finished the season with a 3.24 GAA and a .906 save percentage. The Jets, looking to free up some cap space, sent Mason, Joel Armia and two draft picks to Montreal for prospect Simon Bourque (who has since been released) to unload him. Montreal bought Mason out not long thereafter, making him a free agent. The Athletic’s George Richards reports that the Florida Panthers intend to recall Michael Hutchinson from Springfield of the AHL at some point in the next few days, but with the team not playing again until Thursday, the team doesn’t have to make an immediate move. The Panthers signed Hutchinson this offseason, who has more than 100 games of NHL experience, as the team’s third-string goalie for this reason as Luongo has a long injury history. Hutchinson played 26 games for the Manitoba Moose of the AHL last season and boasted a .936 save percentage. Due to injuries, however, he only made three appearances with the Jets last year. St. Louis Blues’ Pat Maroon could be playing himself into a long-term extension with his play Saturday night, according to The Athletic’s Jeremy Rutherford (subscription required). The 6-foot-3, 225-pound power forward dominated the game for the St. Louis Blues, despite eventually falling in overtime to Chicago. Maroon, who signed a one-year, $1.75MM contract to return to him hometown, could walk away with a more lucrative deal after the season is over if he continues to play the way he did Saturday.